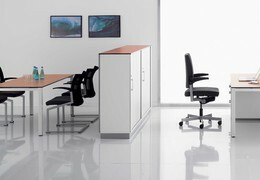 Furniture systems for changing office environment. 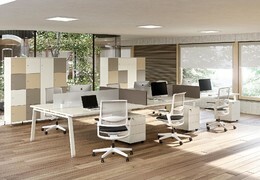 New office concepts are being developed as a result of continuous change affecting the business world. Across personal and team offices, simple activities are being replaced by complex work processes. 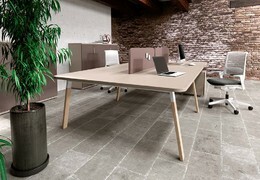 A full understanding of this trend forms the basis for sound and future-oriented development of new office furniture. Successful business know-how therefore provides the foundation for highly skilled design and expertise in the office sector.